Parveen Rana has stated that the Pro Wrestling League has been more than a learning experience for the wrestler as he did not have any prior experience of fighting in front of so many spectators before the league. Rana represents Haryana Hammers in the league in the 74 kg category. The Haryana Hammers have reached the semifinals of the Pro Wrestling League and will take on Delhi Sultans in the second semi-final of the league. While the team has reached the semifinals of the event, the 74 kg category contestant for the Hammers, Parveen Rana has revealed that the league has been nothing less than a revelation for him and stated that it has been more than a learning curve for him. “Pro Wrestling League has been more than a learning experience for me. When I fought in Season 3 of the league, it was a matter of winning and losing, but few circumstances and few challenges led me to rise above it. Now I fight for my pride,” Rana told TOI. Rana has represented India at many International events and has won a gold medal at the 2013 Commonwealth Wrestling Championships. He once again won a bronze at the 2017 edition of the same event. Rana has said that that in the initial stages of the league, he was underconfident but with each match, his confidence got boosted and now he plays without any fear. 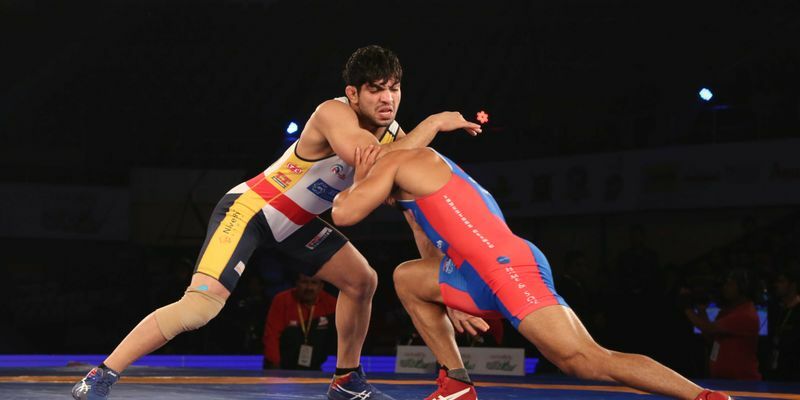 Rana’s career was almost over when he sustained a career-threatening neck-injury back in 2014 but not one to give-up, Rana returned to national circuit and won a Gold Medal at the National Games. With his team reaching the semifinals stage of the season four of the league Rana has exuded confidence that he is all ready for the match. “This was back in time when Pro Wrestling League was a challenge for me to understand and accept because fighting lives in front of lakhs of people is something I had never experienced. Days passed and I kept getting better with more effort. And here I am today, standing on the semifinal podium, fighting not only for myself, but for the team aiming to hold the trophy.